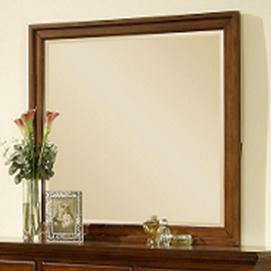 A simple rectangular frame, this mirror can virtually fit in any decor setting. It's stunning Classic Brown or Gray finish and beveled edge makes it a wonderful fit for a dresser. The Chatham Framed Landscape Dresser Mirror by Elements International at Miskelly Furniture in the Jackson, Pearl, Madison, Ridgeland, Flowood Mississippi area. Product availability may vary. Contact us for the most current availability on this product.